Stephen King wAs born in Portland, Maine to Donald and Ruth PillsbUry King. When Stephen was very young, his father left and Ruth raised Stephen and his older brother David by herself, sometimes under great financial strain. The family moved to Ruth's home town of Durham, Maine but also spent brief periods in Fort Wayne, Indiana and Stratford, Connecticut. King attended Durham Elementary grammar school and then nearby Lisbon High School. Stephen King has been writing since an early age. When in school, he wrote stories plagiarized from what he'd been reading at the time, and sold them to his friends. This was not popular among his teachers, and he was forced to return his profits when this was discovered. The stories were copied using A mimeo machine that his brother David used to copy his magazine called "Dave's Rag" that he published himself. "Dave's Rag" was about local events, and Stephen would often contribute. 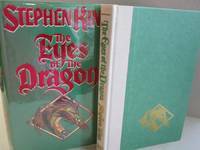 At around the age of thirteen, Stephen discovered a box of his father's old books at his aunt's house, mainly horror and science fiction. He was immediately hooked on the genre. From 1966 to 1970, King studied English at the University of Maine. There, King wrote a column in the school magazine called "King's Garbage Truck". At the university he also met Tabitha Spruce to whom he was married in 1971. To pay for his studies, King took on odd jobs. One of them was at an industrial laundry, on which he drew material for the short story "The Mangler". This period in his life shows through in the second part of Hearts in Atlantis. After finishing his university studies with a B.S. in English, King took a job as an English teacher at Hampden Academy in Hampden, Maine. He lived with Tabitha and at least one child in a trailer. Making ends meet was sometimes difficult, and the money that came from short stories, published mainly in men's magazines, was very useful. King also developed a drinking problem which stayed with him for over a decade. 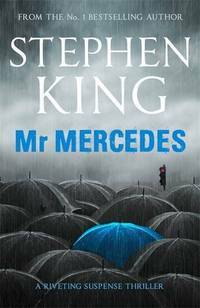 During this period, King began a number of novels. 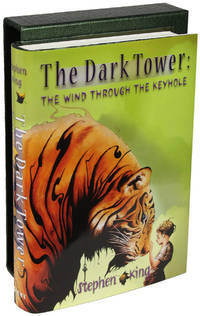 One of them told the story of a young girl with psychic powers. Frustrated with It, he threw it into the trash. 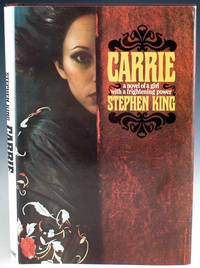 Later, he discovered that Tabitha had rescued it; she encouraged him to finish it as Carrie. He sent it to a friend at Doubleday and more or less forgot about it. Some time later, he received an offer to buy it with a $2,500 advance (not a large advance for a novel, even at that time). Years later, the paperback rights sold for $400,000. King's mother died of uterine cancer in February 1974, shortly after King started receiving money from the sale of Carrie. In On Writing, King admits that at this time he was consistently drunk and that he was an alcoholic for well over a decade. He states that he'd based the alcoholic father in The Shining on himself, though he didn't admit it for several years. Shortly after the publication of The Tommyknockers, King's family and friends finally intervened, dumping his trash on the rug in front of him to show him the evidence of his own addictions: beer cans, cigarette butts, grams of cocaine, Xanax, Valium, NyQuil. He sought help, and quit drinking in the late 1980s.